There are basically two types of building, those with a basement or crawl space and those that are built above ground. The foundations are typically built of stone, block or poured concrete. Each of these foundation types comes with its own set of potential problems. What may be a problem for one type of foundation or location may not be a problem for the other. The most common issues are water penetration, cracks, settling and shifting… and then, how to fix the problem. 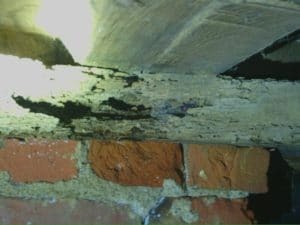 Unresolved foundation issues can become catastrophic, causing structural failure which can be very costly to remedy. Posts rotting, main beams incorrectly shimmed causing floors to sag and settle. Old foundations with crumbling brick, cracked load bearing members, we have seen it all before. Water may be in the duct work of your heating system, or pooling in the crawl space. 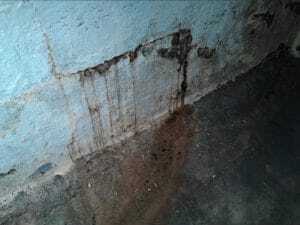 This can cause severe problems resulting in foundation failure. We are uniquely qualified to look at the issues and give you a professional analysis. Our consulting Inspector will be able to tell you if you can repair the problem yourself or what contractor you will need to hire. Solving your problems quickly is out goal!